Lynn Anderson, whose strong, husky voice carried her to the top of the charts with “(I Never Promised You a) Rose Garden,” has died. She was 67. Lynn Anderson was just 19 years old when she released her debut single, “For Better or for Worse,” a duet with Jerry Lane, in 1966. The song did not chart, but her next single “Ride, Ride, Ride” did, and Anderson’s third single, “If I Kiss You (Will You Go Away),” earned a Top 5 spot on the country charts. The singer moved to Nashville and signed with Columbia Records in 1970, and released “Rose Garden” that October. The tune spent five weeks at No. 1 on the country charts, became a crossover hit on the pop charts, earned Anderson a Grammy Award for Best Female Country Vocal Performance and helped her win Female Vocalist of the Year at the CMA Awards. It also held the title of the top-grossing song by a female artist for 27 years. Throughout her career, Anderson also received Female Vocalist of the Year at the ACM Awards twice, Favorite Female Country Artist at the American Music Awards and Favorite Country Artist at the People’s Choice Awards. She earned three No. 1 albums and 12 No. 1 songs, and sold more than 30 million albums worldwide. Lynn Anderson also spent time as a featured performer on the Lawrence Welk Show in the late 1960s. In 1968, Anderson married producer and songwriter Glenn Sutton, who wrote and produced a few of her hits. They divorced in 1977. Lynn Anderson released her final record for Columbia in 1980. She later signed with Permian Records, on which she earned her last Top 10 single, “You’re Welcome to Tonight,” a duet with Gary Morris, in 1983. Her 2004 album, The Bluegrass Sessions, earned a Grammy nomination for Best Bluegrass Album, and earlier this year, she released a gospel album, Bridges. In September of 2014, Anderson was arrested in Nashville for driving under the influence. She had previously been arrested for DUI in Texas in December of 2004, and again in New Mexico in May of 2006. She was also charged with shoplifting and battery of a police officer in 2005 and had sought treatment at the Betty Ford Center. 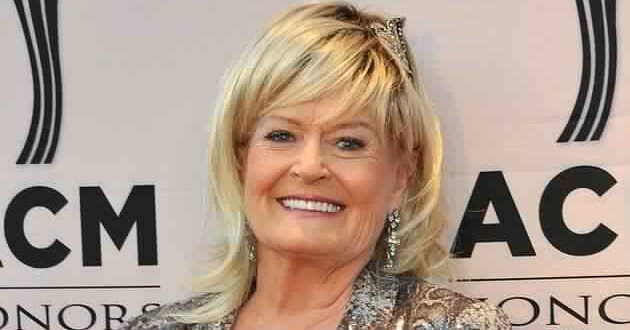 Lynn Anderson was also an awarded equestrian and horse breeder, and she supported and worked with numerous charities, including the Roundup for Autism and the Cariety Foundation, among others. The singer is survived by her father; her partner Mentor Williams; her children, Lisa Sutton, Melissa Hempel and Gray Stream; and four grandchildren. Funeral services are being planned for Nashville’s Woodlawn-Roesch-Patton Funeral Home and Memorial Park; details will be made available as they are known. The Boot extends our deepest condolences to Anderson’s family.